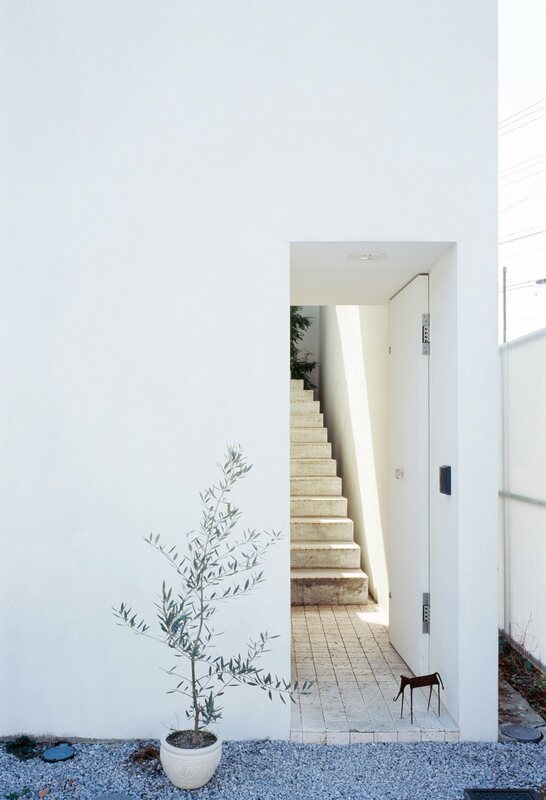 Recessed entrance opens to a narrow, curved concrete stairs. 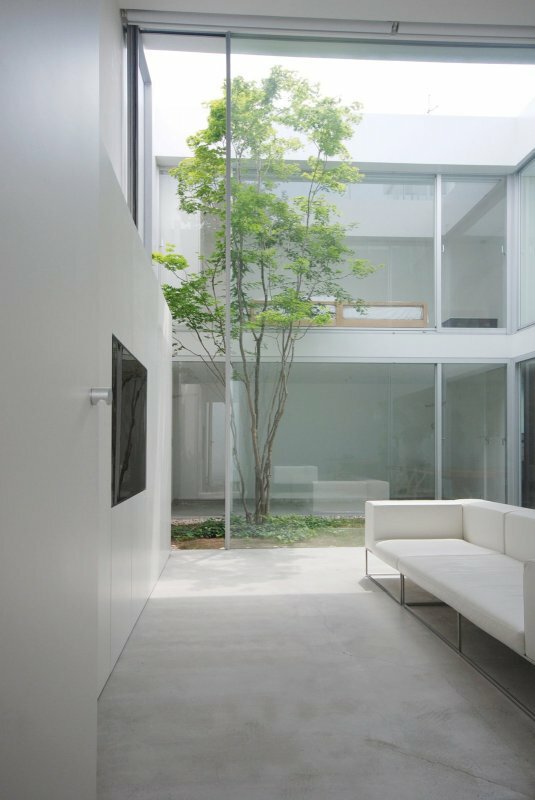 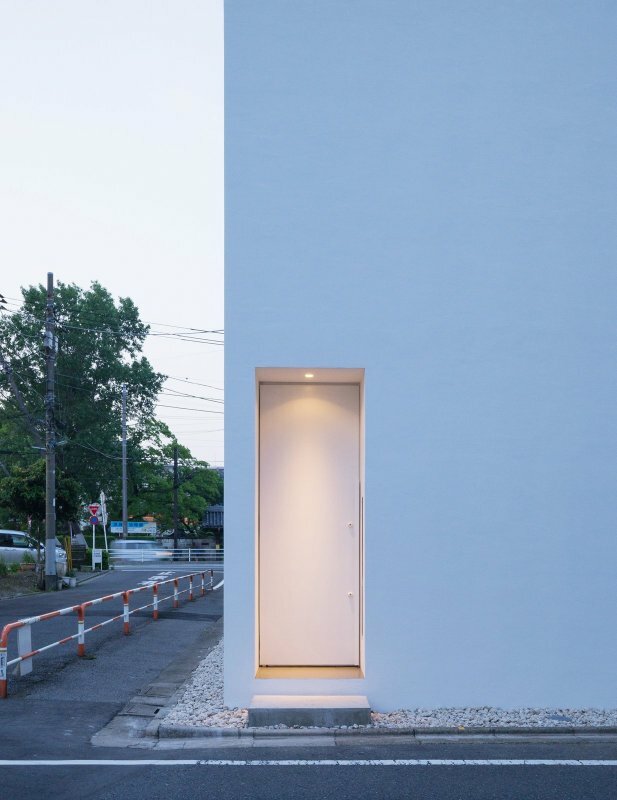 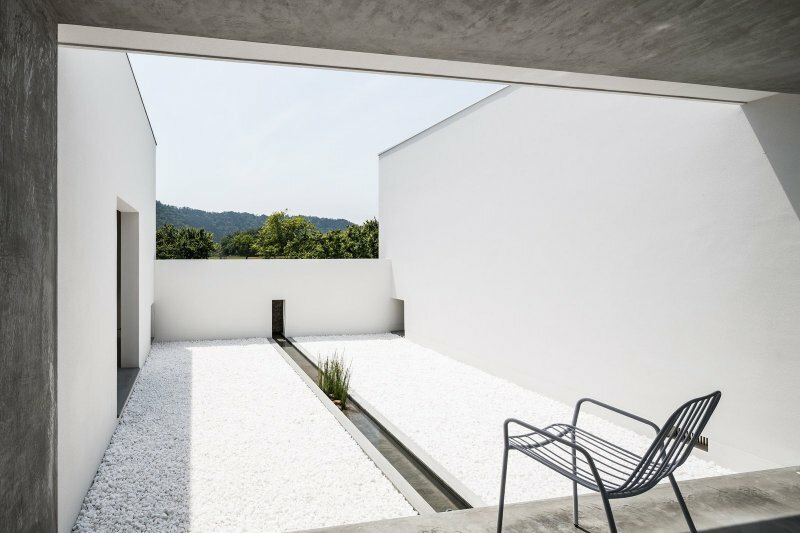 Project Love House in Yokohama, Japan, designed by Takeshi Hosaka architects. 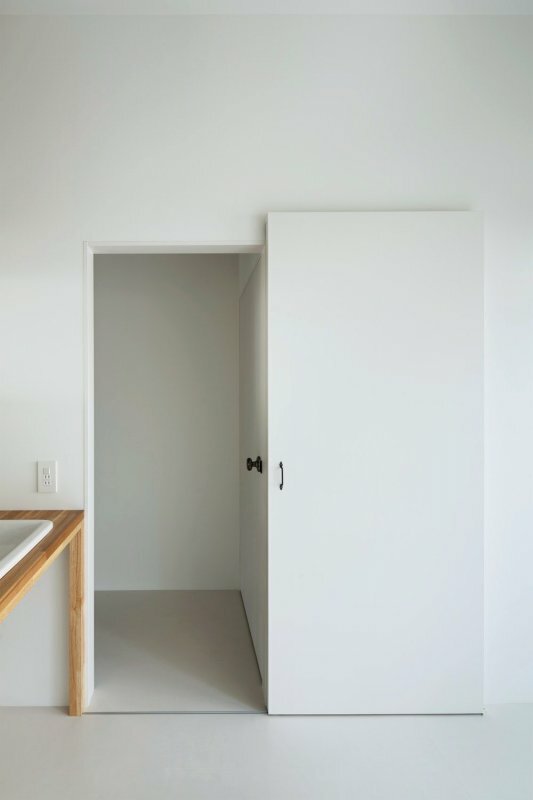 Photographed by Masao Nishikawa.